Being in total control of fertiliser costs by maximising the nutrient content of slurry is still a massive area of cost saving that many dairy farmers can still exploit to the full – and a simple calculation will do the trick. The “Slurry Calculator” provides dairy farmers with the opportunity to fully analyse slurry before and after treatment and to show precisely what nutrient resources they already have freely available to make use of. “Why spend money on buying-in nutrients to put on the land when they are already sitting there in the slurry store,” says Dr Fernander Aller Slurry research analyst. She admits that in the past it has been difficult to quantify exactly what was available but the development by Envirosystems of the Slurry Calculator has now made the job a relatively simple task. “Using the programme we have developed it only takes a few clicks on the computer to be able to show any dairy farmer with treated slurry precisely what nutrients he can utilise. “The Slurry Calculator is used to test slurry before treatment and then after treatment – and farmers are always amazed at how the nutrient value has improved,” added Dr Aller. The calculation will provide a farmer with the amount of mineral Nitrogen (N), Phosphorus (P) and Potassium (K) his slurry contains which means a more careful and considered purchase of bought-in fertiliser can be made. “It’s a very fast and easy calculation because it requires a minimum input of data. It’s based on the recommendations given in the Fertilizer Manual (RB209) and British Grassland Society. The final result – the amount of N, P and K needed for each cut up to a maximum of four cuts for a year. Lancashire dairy farmer James Rogerson who runs the well known Avenham Holstein herd has been treating slurry for the last five years and has achieved up to 70% less use of bought-in fertiliser. This high-yielding herd decided to treat slurry with the inoculant SlurryBugs to help capitalise on its total manurial value. He has been able to gradually reduce the amount of fertiliser applied to grassland at Game Farm, Singleton, near Blackpool – a management decision based on the outstanding performance of his pastures following continued applications of treated slurry. 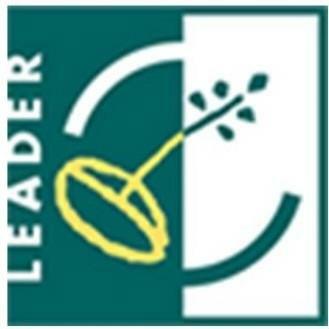 There has been no reduction in grassland performance on the farm even though fertiliser use has been reduced. In fact the opposite has been the case. Although the decision to move heifers off the farm for rearing has slightly reduced the amount of slurry available, past years have seen the farm reduce fertiliser use by 70 tonnes of N and 20 tonnes of P and K.
“These are figures that even I find difficult to get used to but that’s what we’ve actually achieved by treating the slurry and being able to make full use of its true nutrient value. 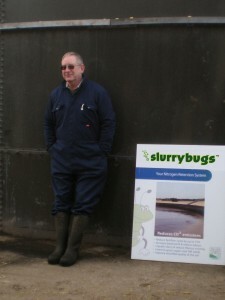 “When I was offered the opportunity to treat slurry with SlurryBugs I honestly thought it was nothing more than “muck and magic” and that it couldn’t possibly work. But I’ve been proven wrong. 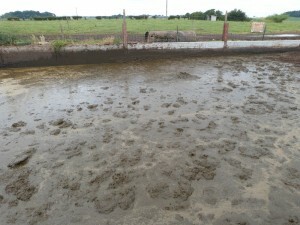 There’s no one more sceptical than me, but my advice to anyone would be treat your slurry and see the results for yourself before you criticise,” says James Rogerson.